Cochran’s Ski Club is seeking coaches for the 2019/2020 season! Cochran’s Ski Club is a family-focused, energetic group dedicated to alpine ski training and racing for the U8s through U19 age groups. Coaches are needed to help facilitate weekday training at Cochran’s Ski Area, as well as occasional larger mountain training at Stowe and other nearby areas. 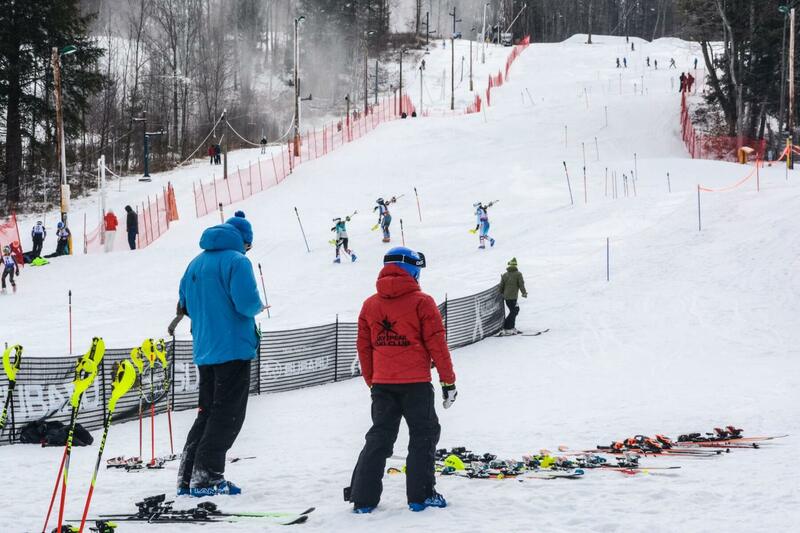 Younger athletes race Northern VARA council races and older athletes compete throughout Vermont and New England. While the focus is on racing, our coaching staff strives to foster a love of skiing in the The Cochran Way. We take great pride in consistently putting on high quality races and having fun while doing it. Weekend dryland training starts in September and our season runs through early April. We have a couple of key events, including our annual November ski sale and Rope-a-thon, with which we expect coaching staff will help out. We are seeking coaches to complement our existing staff and we have coaching needs for both younger and older (high school age) age groups. If you have racing and/or coaching experience and have the interest and enthusiasm we’re looking for, please contact cochranskiclub.info@gmail.com.